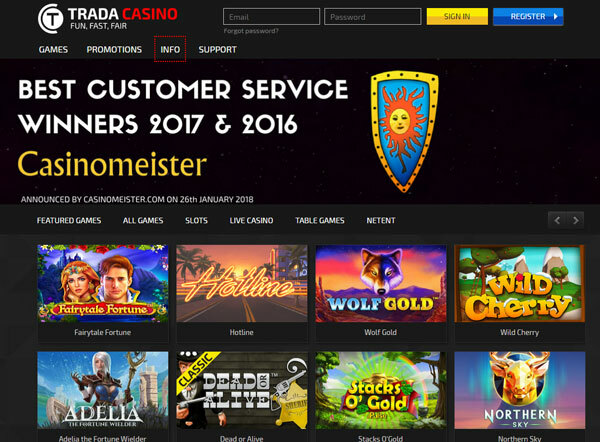 Trada casino is a real gem. These guys are really good and I’ll tell you why. They came on board a little over two years ago and since then, they have received nothing but rave reviews from our members. You can see for yourself in our forum. 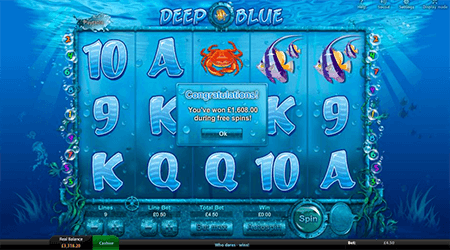 Signing up is easy – the layout intuitive and they have a very good selection of games. Depositing via a webwallet like Neteller is simple. I played Aloha cluster pays – I really like this game – won about 150 Euros and cashed out. There was no reverse time – which means I can’t play my winnings back into the casino while waiting for them to process my cash. 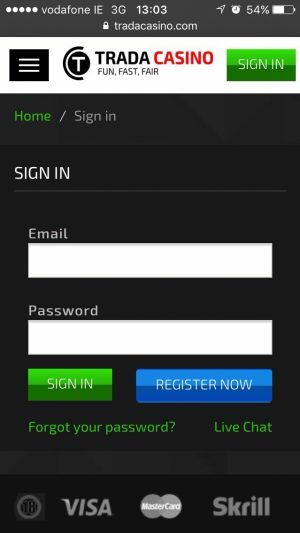 Once I submitted my withdrawal, it was easy peasy to upload my ID docs – phone bill, ID, and Neteller account screenshot. I was validated within the hour. I was paid within x hours and this was a first withdrawal. Don’t want to gamble too much? They have deposit limits you can manage yourself. Also, do you hate getting messages on your phone from casinos – here you can opt out of these. By default it is set to no notifications. That’s great. 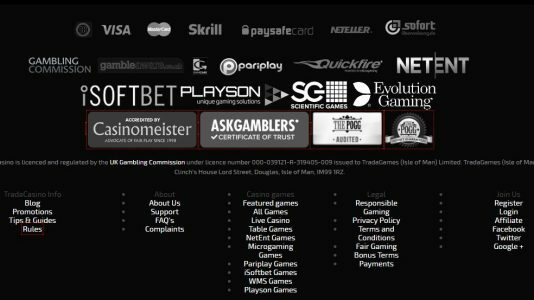 Since they have come on board as an accredited casino – I have been super impressed with their customer support – and Rachel their casino manager. And most importantly, our members feel the same way. 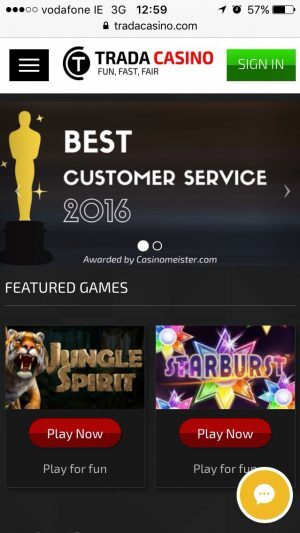 They were awarded best customer support for 2016 by Casinomeister – which is a really awesome award if I don’t say so myself. 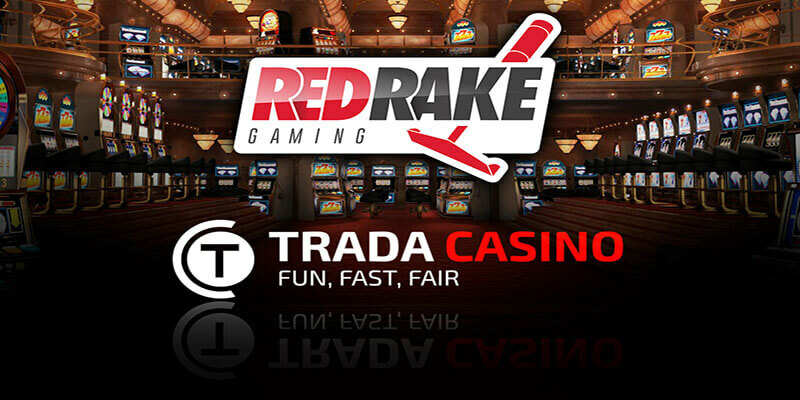 Trada casino is licensed in the UK and Jersey, and it’s a casino that you really ought to join. I would recommend them to my best of friends. 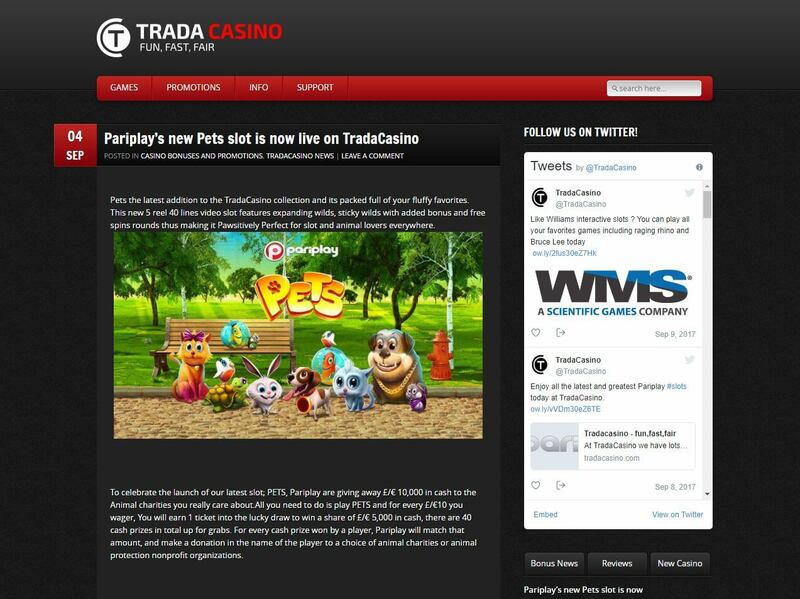 TradaCasino is powered by Microgaming, NetEnt, Pariplay, iSoftbet, Evolution Gaming, WMS, Playson, and Ainsworth games. They are licensed by the UKGC and Jersey, and have English support. They made it through the Baptism by Fire test at Casinomeister with flying colors (thread is here)- so from the beginning they showed us that they were squared away. 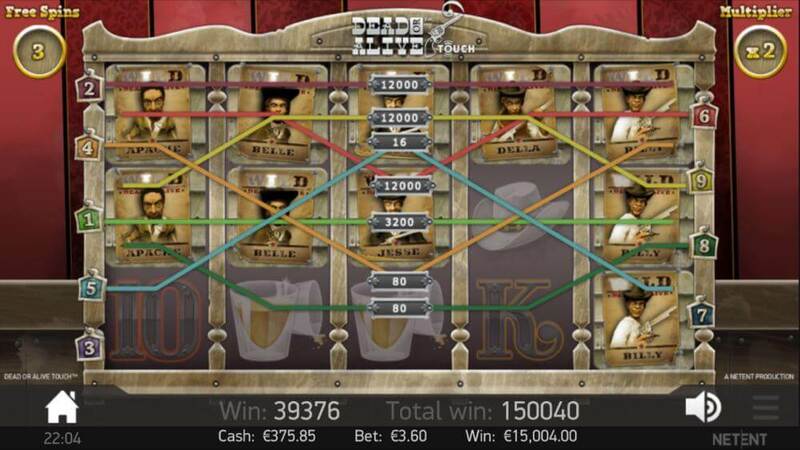 They are primarily focused on the European market and towards slot players. They have a wide assortment of some awesome games – WMS, NetEnt, Big Time Gaming, Pragmatic Play, Quickspin and MGS being some of my personal favorites. Best of all, their casino support is outstanding. Their support has one the coveted “Best Customer Support” from Casinomeister for 2016 and 2017. They have also been shortlisted for both those years for Best Casino of the Year at Casinomeister. 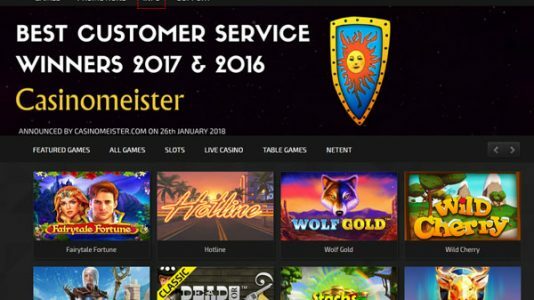 The won Best Casino Support for 2016, and they have many, many great comments in our forum – our members are truly happy with this casino operation. 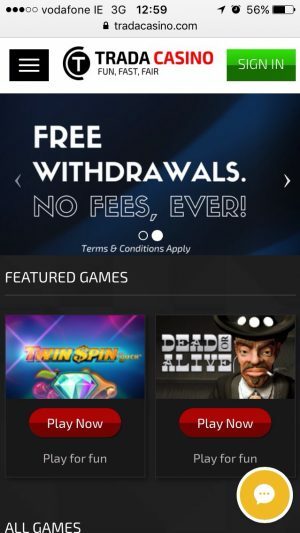 Just recently, they have introduced a “Withdrawal lock” to your withdrawal so that you are unable to play back your winnings. When you withdraw your winnings, they are on a one way trip to you bank, webwallet, or card. Awesome customer service there. Dead or Alive awesome win! Another awesome hit at Dead or Alive! It keeps coming! Another awesome hit at Dead or Alive! Still the same session - massive hit at Dead or Alive! One of our members is having a great day: massive hit at DOA! 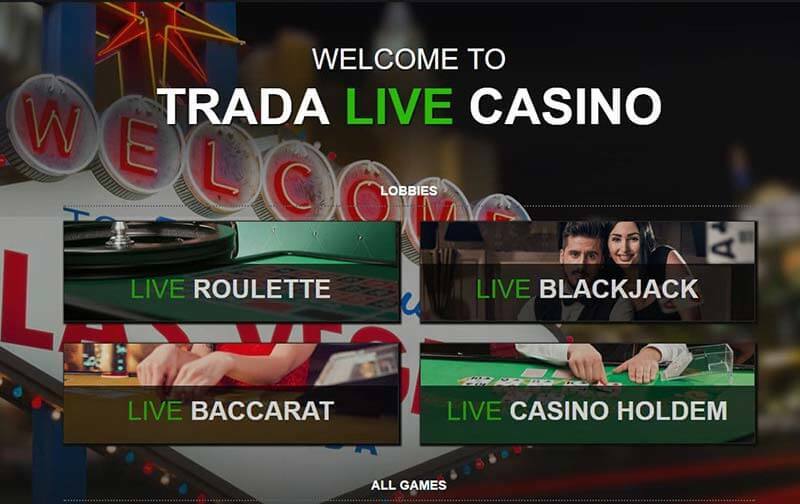 As I’ve already mentioned, Trada Casino has a very good line up of games: Netent, Microgaming, Pariplay, WMS, Pragmatic Play, SG Gaming, iSoftbet, Big Time Gaming, Quickspin and Playson are your slot options. 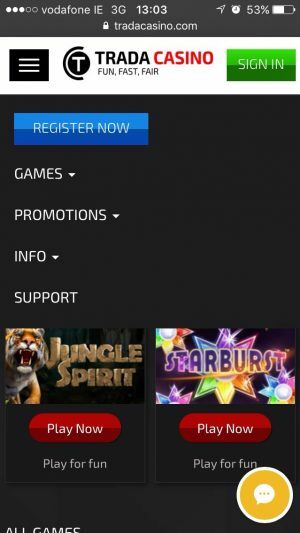 The layout is intuitive and it’s easy to search for the game names, if that is what you are looking for. 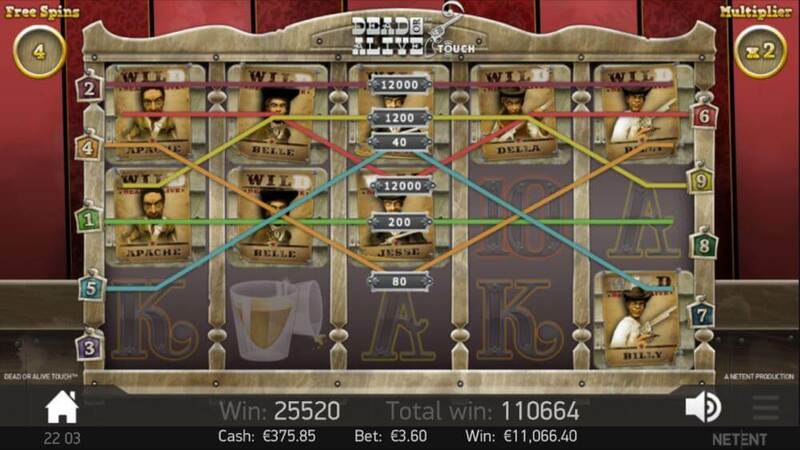 Live casino games consist of mostly blackjack. You can join £5 – £5000 tables up to VIP tables (£35 – £2500). They also have immersive roulette, baccarat, and casino holdem. Table games – they list 64 table games, even though some of these are video poker (some Microgaming multi-hand like Aces and Faces). But there is just about anything you might be looking for like Roulette (16 variations), Blackjack (22 versions to include some Pontoon games, single deck black jack and seven hand BJ). Bacarrat and some poker games as well. They have an awesome variety of games that you can play on your iPhone or Adroid contraption. Do you have tiresome colleagues pestering you on the daily commute via the train. Tell them you’re checking emails and instead have a go at Thunderstruck. 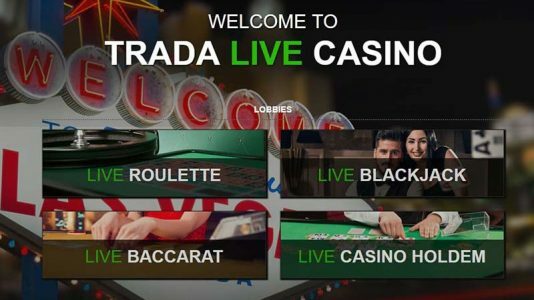 Fear boredom no more – Trada Casino is there wherever you are. “Well it’s taken me long enough to get involved but I must say I made a good choice to do so; docs approved within 30 minutes yesterday. Took the first deposit bonus 200% match. Didn’t get close to the wagering but certainly gave me 3 hours of gameplay. 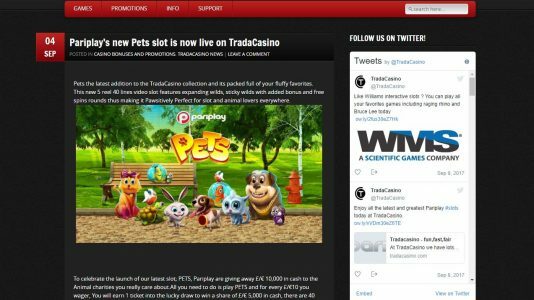 “You may be aware that I spotted a deposit limit/RG issue (discussed in another thread) at Trada and as I confidently predicted they’ve sorted it, as you would expect of a 9.8 accredited site. Now I’ve got a confession to make here – Trada Conor advised me by PM that despite what my image stated that I posted earlier in that thread, it would likely actually be working immediately (the new £50 weekly I set) as opposed to my old £200 daily one – in other words the system was working but the visuals were a bit out of sync. So yesterday I tried it and indeed I was correct in that the portal I used hadn’t reduced the limit prior to 29/05/2017 and I was able to deposit the whole £200 still, which I did. When I updated him of the fact I was surprised a few hours later to find my £200 deposits lost had been refunded back to me as a withdrawal!! This is a kind and honourable gesture Trada Conor but I wasn’t expecting that – if I didn’t expect to have lost or couldn’t have afforded to I wouldn’t have deposited it! You are a really good rep I have also gave you some rep too, I don’t personally play at Trada Casino myself. but I might in the future. “Another thumbs up from me! Had a fair amount of play last night after being naughty and sticking a few deposits through on my credit card as bank balance was getting low. Then, a lovely little winning streak and a few silly bets proved fruitful. First withdrawal to my credit card of £300 processed pretty much immediately and I played with the balance. 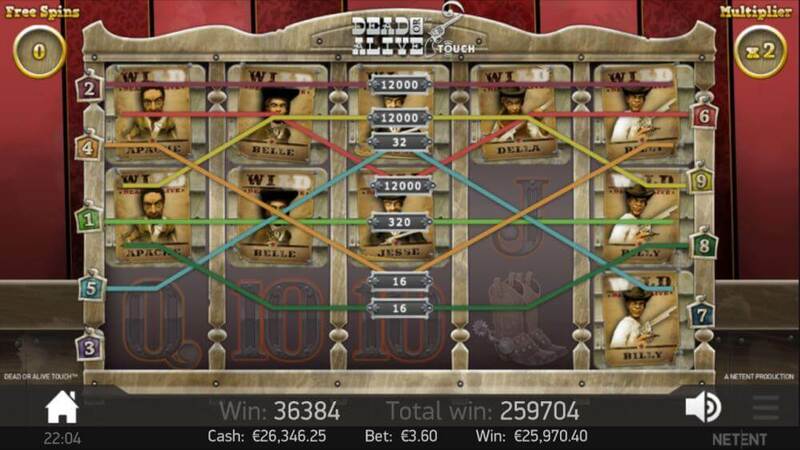 Won a few more times and put through another withdrawal of £150 – waheey as that paid off my credit card in full. Played with balance and eventually put through another withdrawal of £600 in the early hours of this morning. As my credit card was soon to be paid off, I requested a withdrawal to my bank account. Received an e-mail from James this morning saying they cannot pay to my account as that has never been used as a deposit method, which is fair enough. I asked for it to go against my debit card (linked to same bank account anyway) instead which is also verified with them and within minutes, all confirmed and withdrawal processed. Great communication and speediness in processing my withdrawals and dealing with my requests. The only thing I could suggest is that you give an option as to which card the withdrawal is processed to instead of just using the last one – it would cause issues if my credit card issuer owed me money! Qther then that good casino overal. This casino is an absolute gem. I play there often. I would recommend them to my best of friends.